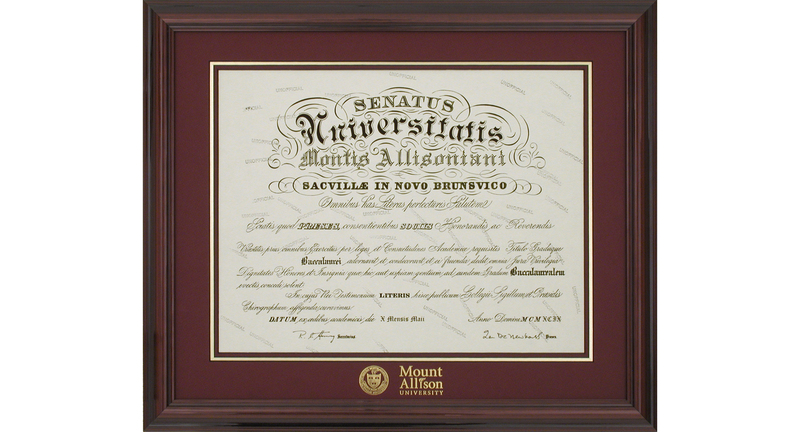 The top of the line “Diplomat” wood diploma frame is made from a solid hardwood moulding with a mahogany satin furniture finish. The diploma is accentuated by an acid free triple mat, featuring the University crest in gold. The Diplomat series of frames is the top of the line of our Diploma frames and has special appeal to certain disciplines (law, medicine, business).